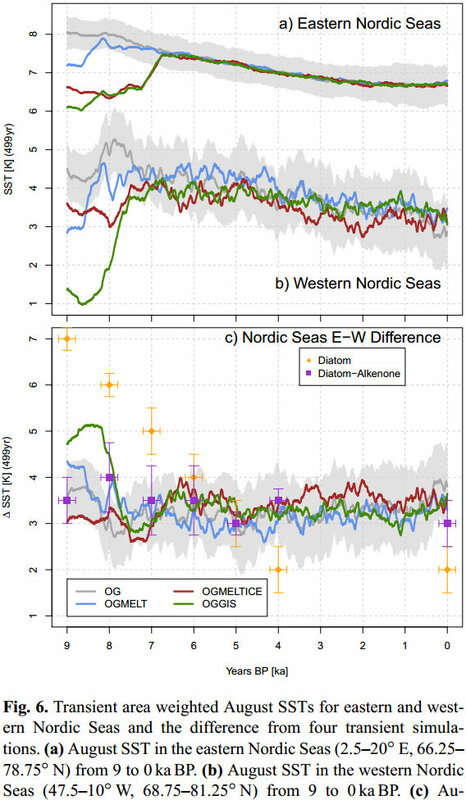 A new paper published in Climate of the Past reconstructs sea surface temperatures in the Eastern & Western Nordic Seas of the Arctic over the past 9,000 years, and each of the proxies show a long-term cooling trend over the past 8,000 years since the Holocene Climate Optimum. 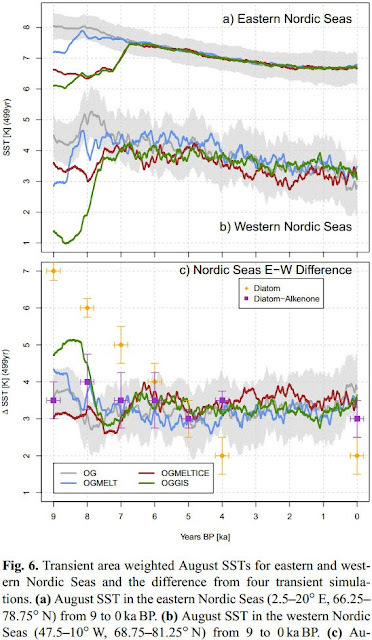 Orange dots in bottom graph show reconstructed Sea Surface Temperatures [SSTs] in the eastern Nordic seas [Anderson et al, 2004] and purple dots show SSTs in the Western Nordic Seas [Calvo et al, 2002]. Top two graphs a & b show 8 modeled Sea Surface Temperatures [SSTs] in the Eastern & Western Nordic Seas, cooling over the past 7,000 years. Horizontal axis is thousands of years before the present.